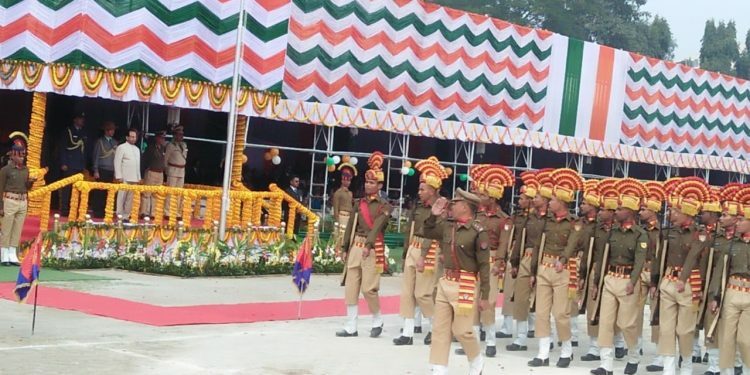 The 70th Republic Day is being celebrated at Veterinary Field Khanapara , Guwahati where Governor of Assam Jagdish Mukhi hoisted the tricolor and delivered his speech. This was followed by parade, cultural pageant and other programmes. Assam police had arranged massive security at Khanapara Veterinary Ground, where the Republic Day celebrations took place.